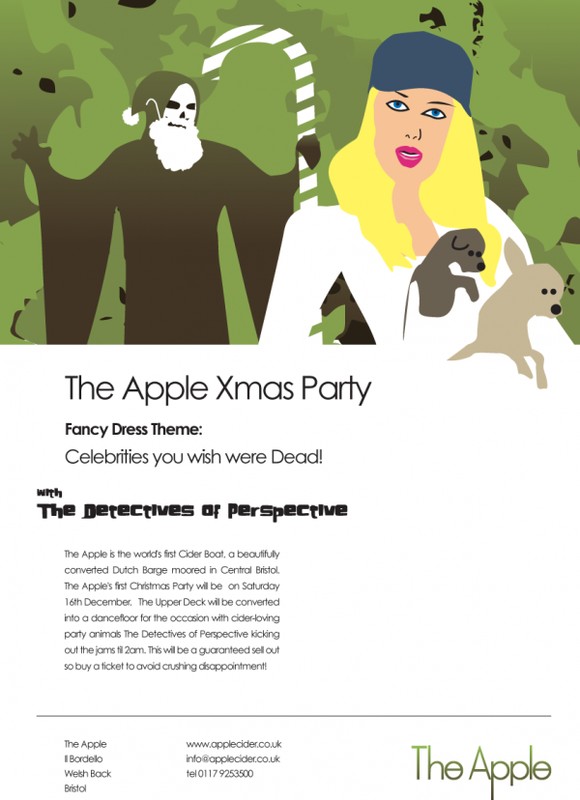 One of our rare forays back to our print design days (we were print designers for several years in the mid-late 90’s), our friend DJ Cheeba asked us to design a poster for their Christmas party on The Apple, a Bristol floating cider boat. The tasteless and fun theme was ‘Dress as a celebrity you wish was dead’. We fired up illustrator and did an illustration of Death stalking Paris Hilton.